HTC Company skipped the Mobile World Conference for launching its new flagship smartphone in 2018. The flagship smartphones of HTC- HTC U12 and the U12+ are expected to arrive in late April or early May. Before the launch or the specifications being made public by the company, a lot of information about these 2 devices have already being leaked in the market. However, as most of the information has already been leaked, so guessing the specifications isn’t a tuft job for anyone. As per the info HTC U12+ will be powered by the Snapdragon 845 processor with RAM of 8 GB, will have a 5.5in Quad-HD+ display featuring Gorilla Glass 5 as well as external storage support for microSD up to 2TB. This great device will also have IP68 waterproofing and dual 8MP cameras at the front. The rear camera will be 12MP f/1.5 HTC Ultra Pixel camera both cameras with OIS. Other features for the new smartphone are Edge Sense 2, a fingerprint scanner, HTC BoomSound speaker and Hi-Res audio. It is also going to be featured with 802.11ac Wi-Fi, NFC, with wireless charging and Quick Charge 4. Unlike other smartphone companies like Samsung, Redmi, LG, OnePlus who launch 2-3 flagship phones every year, it seems HTC is in no mood to carry on with the same strategy. This U12 series of HTC is expected to be a user friendly, easier to use, high specifications phone. Whenever it is to be released where April end or early May, it is going to be released all over the world at the same time. There are multiple rumours being spread over the internet regarding the release date for the successor of the HTC U11, but still there is nothing concrete yet. The guesses say that the HCT U12 as well as the U12+ will be launched in March, April, or May. Nevertheless, most people are expecting them for early May. Yet, nothing is sure about the release dale. So, we are crossing our fingers for this coming May. The design of the U12 has been leaked during the last Mobile World Conference. It was shown a design very similar to the one of Samsung Galaxy S8 and LG G6. It seems that it will feature a 5.7in screen with curved corners and tiny bezels at the top and bottom. 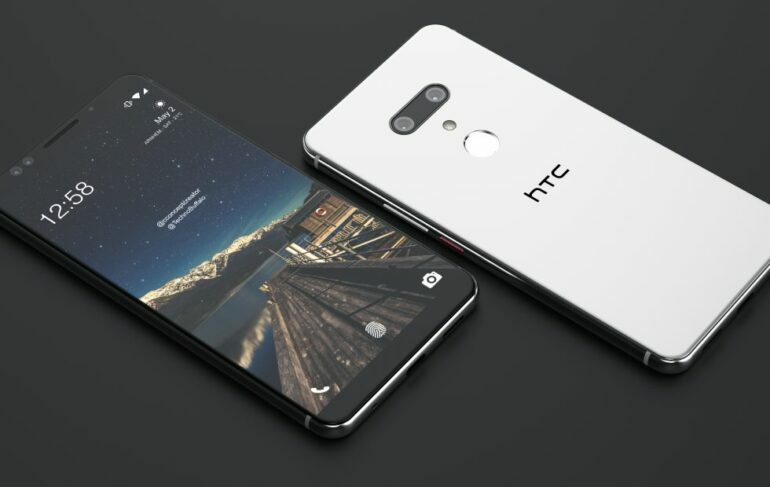 HTC is fully prepared for the marketing and promotion of this flagship phone and this much is sure they are going to aggressively market the device all over the world. These amazing leaks have proved to be very powerful and reliable since they come from trustable sources. We now know what to expect from the HTC U12 which promises to be regarded among the Top Tier smartphones in 2018. So, be ready to welcome the HTC flagship and to know more about it.